Don’t miss our annual Spring and Fall Open Houses and Sales! 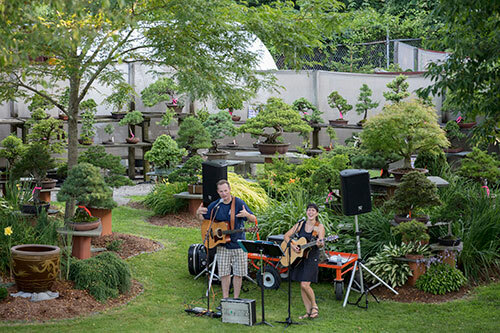 These events bring together our oldest and newest customers and friends. Celebrate the peak bonsai seasons, and enjoy our trees are showing off their explosive foliage and deep rich colors during these dramatic times of year. The Garden is open, our benches are full of beautiful bonsai and pre-bonsai stock plants often on display for the very first time. Join Michael’s fascinating and educational Garden Tour and learn about the history of the Bonsai West Collection including some of the oldest specimen bonsai in this country, and the first-generation Japanese-American bonsai artists that created them. Watch a free demo, and keep your strength up with our delicious buffet of food and drink! 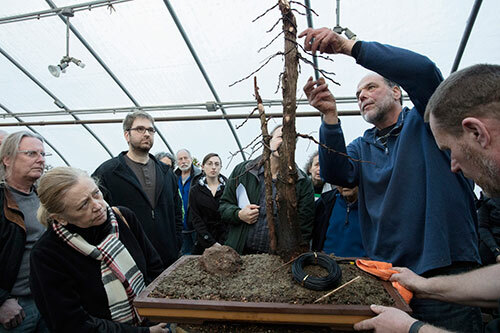 Through out the year Bonsai West sponsors a comprehensive series of Lecture/Demonstrations. 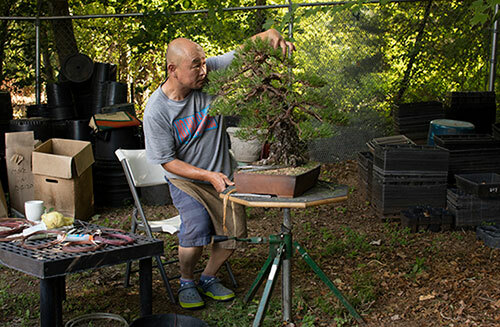 Adopting a format similar to that used at international bonsai conventions, our demonstrations are creative and educational. We transform a specimen tree, teaching as we create. Performance art at its highest level, these events entertain both the complete beginner and seasoned hobbyist alike. Most of these demonstrations are free and open to the public, with no registration required, unless otherwise noted. Be sure to check out our upcoming Lecture/Demos on our calendar of events!